Most of our Students Pass First Time! Nervous or Unsure which Driving School to go with? 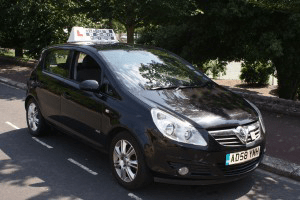 For driving lessons in Brighton and Hove why choose Black and White Driving School? We have highly qualified instructors who are trained to the highest standards. We provide lessons for all levels of driving; from the nervous beginner to the fully qualified driver wanting further training. Our instructors cater for all ages and abilities. We are a local professional business situated in Brighton and Hove who relies entirely on our reputation. Our instructors have been trained to the highest standards in the land (RoSPA Gold Award). 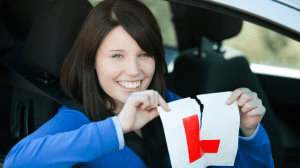 This means you will benefit from the highest quality of tuition and require fewer driving lessons than some of our competition. We are one of a small handful of schools in the area to have achieved this award. We use new cars, they are all fitted with dual controls and we know the local area like the back of our hands! With high standards and competitive tuition fees you would be wise to choose Black and White Driving School. • First hour free •(for black & White beginners). *Please Note: You will need to create a Google account to write a review. Click Here for instruction’s on how to write a review on Google Places. Alternatively write a review on Facebook by Clicking Here.